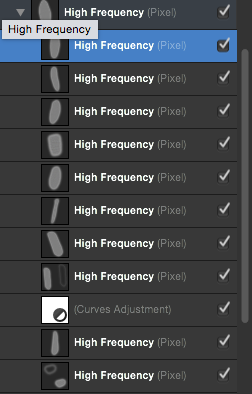 Back in PS land, I use a lot of channel masking when it came to copying and pasting high frequency layers. I've worked out how to do the same in Affinity Photo for the first layer, but when I copy a selected part of the layer and paste it, it copies all the child layers. I've added the screenshot to illustrate this. Is there a way to stop this? It's pretty inefficient having to clear the layers as the number compounds each time I copy and paste. It's one of the few times I've seen the beachball appear while using the program.